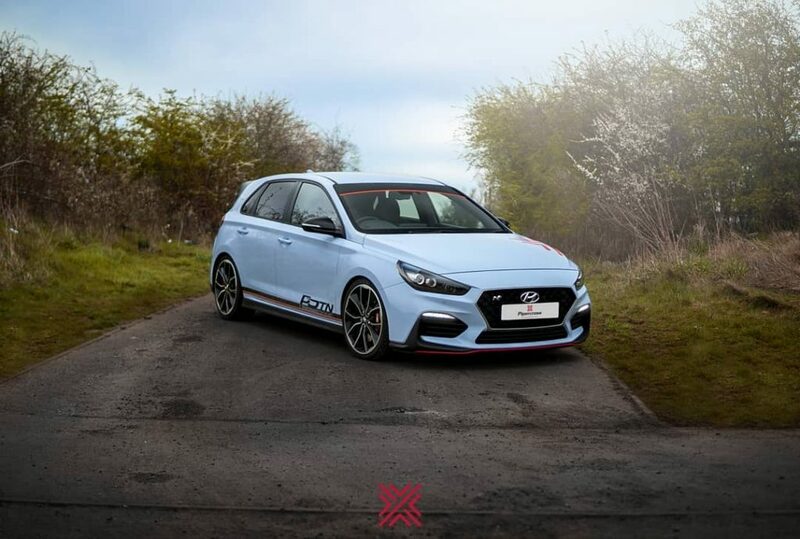 We’ve had the Hyundai i30N for quite some time now and as awesome as it is with all its mods, I think it’s about time we add some more upgrades to this little pocket rocket. 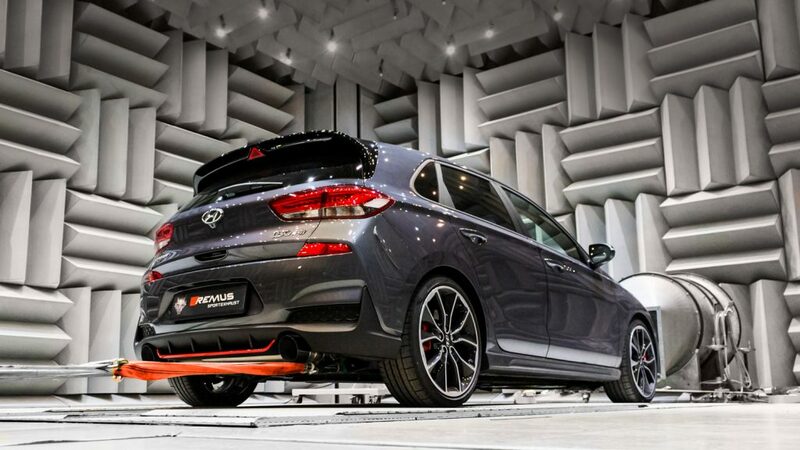 In this article I will simply be going over all the details on the new i30N upgrades, providing information and statistics for consumer advice. 5 major upgrades have been done to this car from all different companies we work with. First and for most, starting with Forge Motorsport and their brand new uprated intercooler for the i30N. 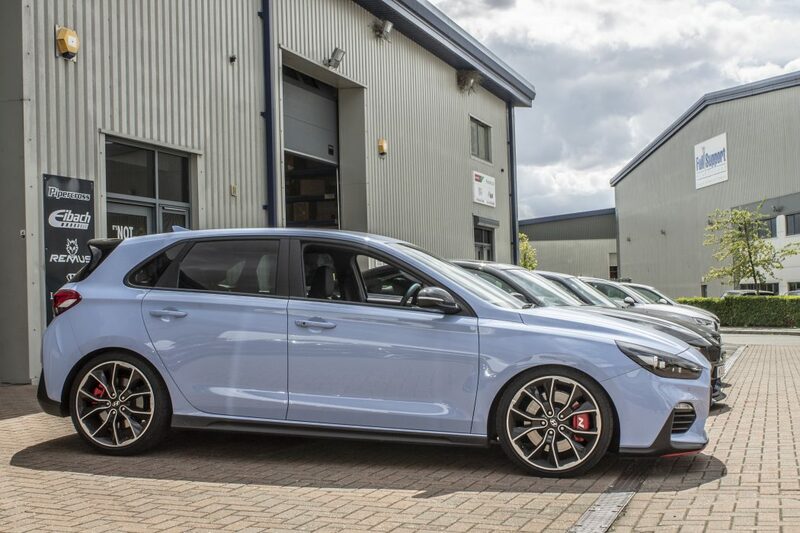 Above you will find Forge Motorsport’s latest and greatest intercooler for the Hyundai i30N. This uprated intercooler has many interesting features and is a huge step up from the standard OEM one. 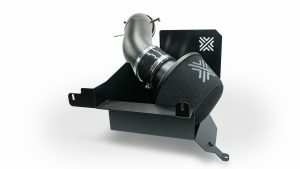 It features 65mm inlet and outlet pipes in which gives an increase 27% in volume, all of which is to improve air flow ultimately increasing performance. This beast of an intercooler also features a 71% increase in frontal surface area over the OEM one making this undoubtedly the largest intercooler on the market. Another new feature is that the intercooler has been integrated with a fabricated ducting system to ensure the best cooling possible. At 6500 revs the air temperature has been decreased from 48 degrees to 24 degrees celsius plsu this kit can be fully installed in around just 2.5 hours and honestly is worth it all, this new intercooler has been designed like no other and provides the best performance figures compared to similar products. 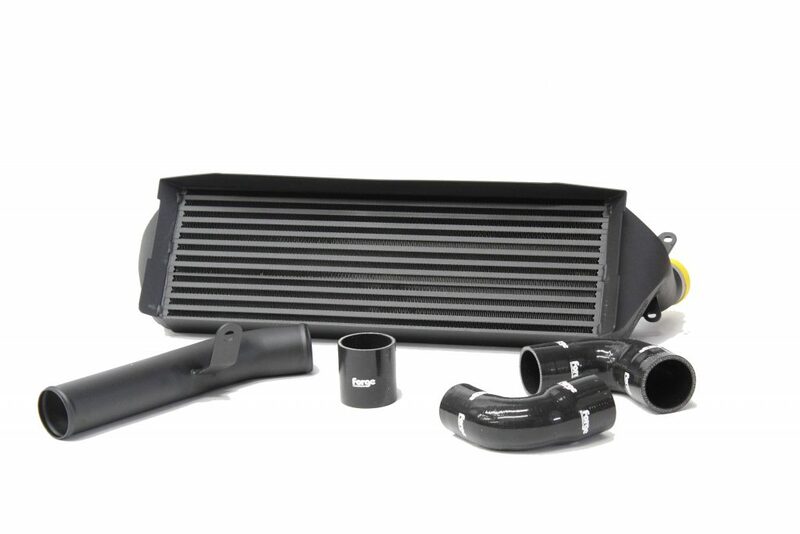 The boost pipe and intercooler come in our standard black textured finish powder coat for maximum longevity. With prices starting at £679.99 and finance available go grab your i30N intercooler from the link below. These tips ultimately define the exhaust system, with different tips there are different materials in which may produce a slightly different sound and define the looks as well. Go with whatever floats your boat! What’s interesting about these tips is that the tubes are 11mm bigger than the standard OEM ones with a size of 76mm. Remus Full Exhaust Systems are starting from as low as £1,147.20 and are currently available to pre-order through POTN. Please contact us for more information. All to be revealed very soon! Fourth upgrade to the i30N will be the Forge Motorsport Atmospheric and Recirculating Valve. What’s interesting about this valve is that it can be used as either an atmospheric blow-off valve or a recirculating valve so if you want that lovely “psssshhhh” sound you can, or if you’d prefer consistent pressure through recirculating the air, you can. The pistons on the valve are designed with heat stabilised Viton-O Rings, these are fully aluminium providing a strong but light structure in which are extremely responsive and durable too. 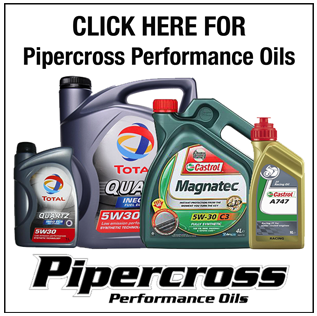 Unlike other similar products on the market, Forge performance parts do not produce any engine warning lights of any sort. 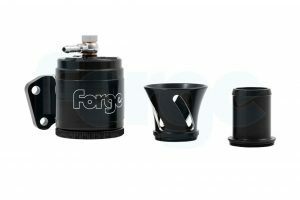 This blow-off valve is fully serviceable and rebuildable in just minutes while fully covered by Forge Lifetime Warranty. Go check out the new blow-off valve with the link below. Prices at just £179.98 shop now! The final upgrade to the i30N will be this. 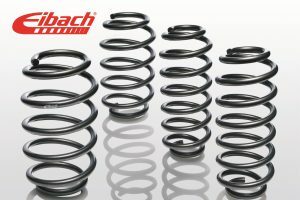 The Pro-Kit Performance Spring Kit by the World’s leading Performance Suspension and Spring Systems – Eibach. 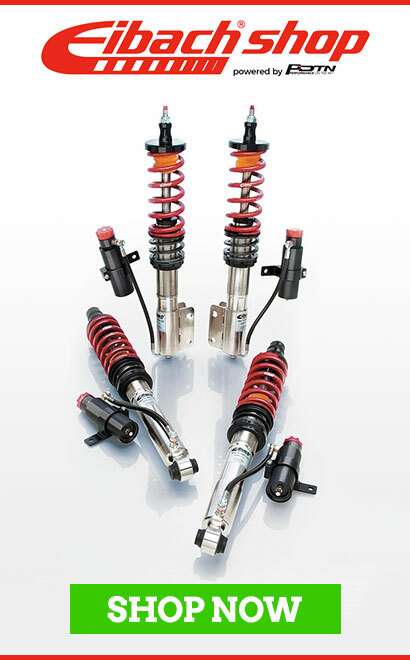 Improving performance handling and looks to your car, the Pro-Kit is a very popular option when looking to take your first small steps to having a full sport suspension system. 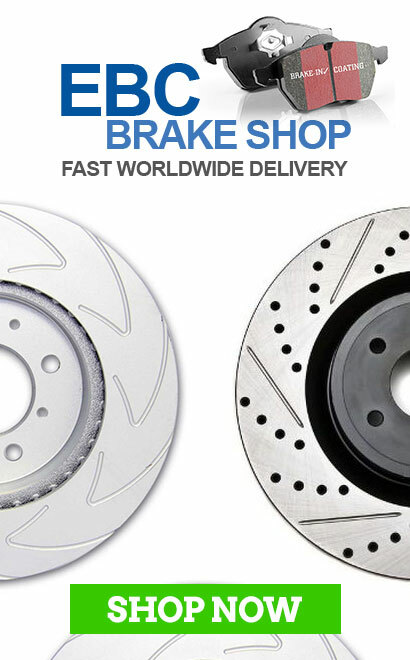 Engineered and tested to work perfectly fine with a stock damper setup and provides you with up to 40mm to lower your car! While of course lowering the centre of gravity this benefits when it comes to track or heavy use. It reduces body roll, stop the car from “squatting” as it accelerates plus reduces nosediving during the cars braking. Head over to the POTN Shop with the link provided below and enquire today with prices at just £244.80. UPDATE – Intake Development Finished! Last week we received the i30N back from Pipercross after development has been complete on the new intake. Above you will find a short video from our YouTube channel of the sound from the new intake. Some may like the sound, some may not – personally, I love it. This intake has completely changed the sound with the addition of that lovely “whooosh” sound on the revs while maintaining the pops and bangs it produces too – it couldn’t sound any better. Here is a product shot of the full intake put together so you can get a clear view of this beast. Behind the filter you will find the painted heat shield in which I think looks good and protects the rest of the filter from heat so it can take in cooler air to optimise peak performance. Please note this heat shield is not sold separately only as the whole package! 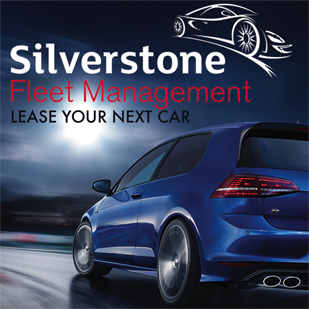 Prices from £349.99 inc VAT – Order today!